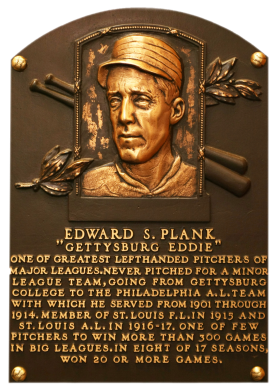 A late bloomer, Eddie Plank didn't reach Connie Mack's A's until age 26. No matter, the lefthander blossomed to win 326 games. 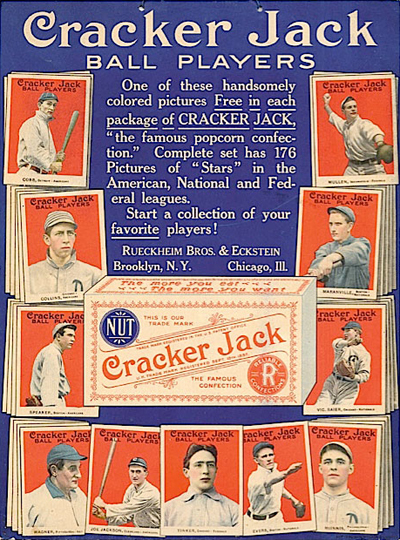 He won at least 20 games in eight seasons, with four in a row from 1902 to 1905. He helped pitch the Athletics to five pennants. "Gettysburg Eddie" compiled 69 career shutouts and a 2.35 ERA. 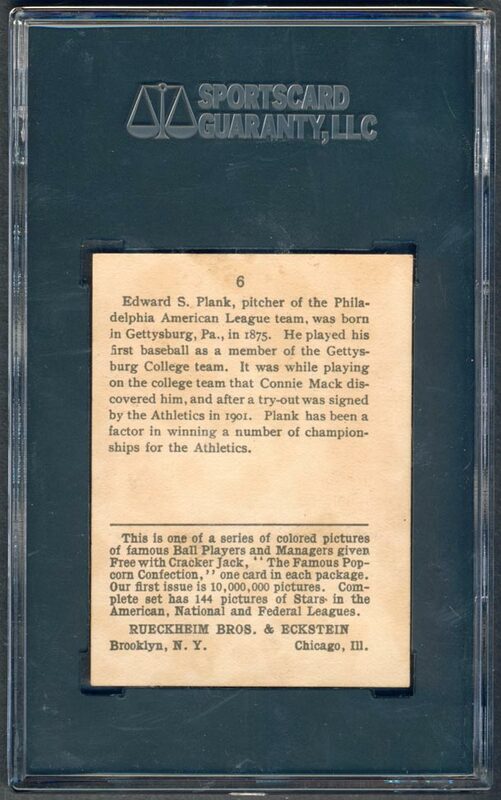 Comments: In Feb, 2000 I purchased a 1960 Fleer PSA 8 tribute card of Eddie Plank on eBay. 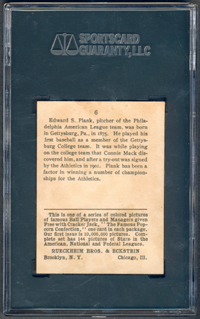 The card was upgraded to a PSA 9 with another eBay purchase in Sept, 2004. 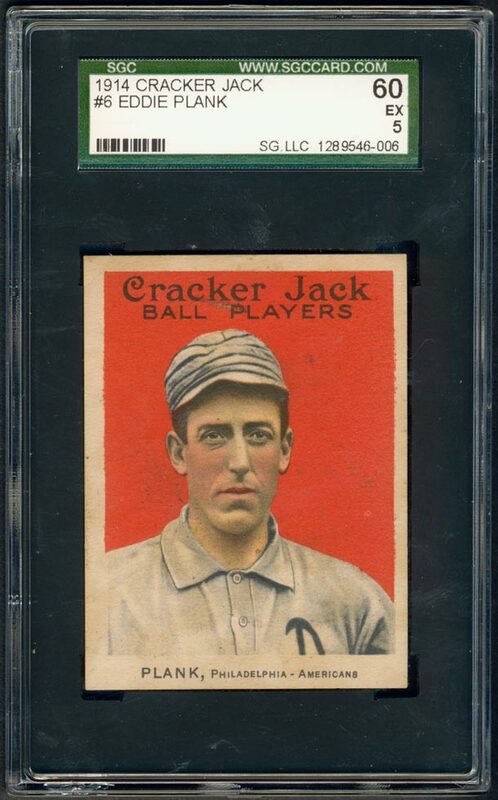 I really wanted a Cracker Jack card and considered Home Run Baker and Plank - well, Eddie won and I purchased a PSA 2 example through a hobby friend in November, 2005. Over the past few years, I've tried to upgrade the card on several occasions but have come up on the short end in several auctions. Another opportunity came up when this example popped up on eBay in Aug, 2013 with a Buy It Now. I made a couple offers and we settled. 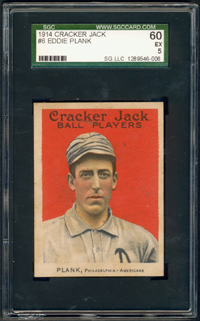 I'm excited to have this sharp card in hand just in time for the upcoming centennial in 2014.